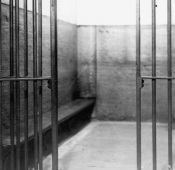 Feb 6th 1873 LUSC to consider new lock-up for C Div. City Surveyor to plan a new station at a cost of £6,000. Dec 31st 1873 The Treasurer of the Committee reports he paid £20,000 into the ‘New Stations Account@ of the LUSC. Oct 1st 1874 Plans for new station approved to include bars on windows, and to enclose the yard and to have an upstairs baths and lavatory. 29 Sept 1875 HMIC Inspection report: A commodious building in Fairfield Street erected as the headquarters of the C Division. It contains, superintendent's office, clerk's office, charge room, sergeant's office , eight cells for prisoners and a reserve cell, store rooms etc. In the basement there is a parade room 52 feet by 40 feet, lamp room, constable's kitchen and clothing store, and in the rear an enclosed parade ground without offices and a mortuary. 1879 Slater’s Fairfield Street: btw 18 – 28 Police Station C Division. May 20th 1886 Valuation of LUSC properties in accordance with the resolution of the Committee Standing Order of the Council. £9570. Sept 5th 1889 Survey of Stations owned outright for insurance purposes £3,000. 19th Jan 1894 The w.c attached to the superintendent’s office was of the old ‘pan’ type and evidently defective at the junction with the lead trap causing leaks and smells. Also there was no ventilation pipe as required by bye-laws. A new one at £8 required. 22nd March 1894 Tender for works Mr Onion £73 Also for painting walls ceiling on the ground floor £28. A lavatory to be provided adjoining the mortuary in the rear yard. 17th march 1898 Repairs of barriers at Fairfield St PS and others. 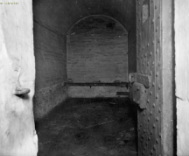 19th May 1898 LUSC: Improved lighting to cells over the doors. £60 estimate for small painting jobs by men in the premises. 19th May 1898 City Surveyor to be instructed to obtain an estimate of the cost of fixing of glass fanlights instead of perforated iron ones at the various police stations. Fairfield St fitting of fan lights to cell doors £89. 25th Aug 1898 Erection of stabling accommodation of horses to be provided and for the housing of police vans – approved. 1899 Caminada’s report stated ‘The utilising of the police courts’ would allow Fairfield Street to be closed’. 1st Feb 1900 LUSC: Sale of the station by special sub committee. 1st March 1900 LUSC: Regarding the Chief Constable’s report to Mr McCabe after being asked for further details. ‘In response to making another report. If the Committee were to put their energies into putting Newton Street and the C Division stations into proper order they would have sufficient work on hand for the present’. The C. Cons further recommended – A small police station for Fairfield St at London Road around Whitworth St.
25th Oct 1900 Fairfield PS valued at £13,000 for the London and North Western Railway Co.. LNWR only value the land at £9,000. Resolve to allow an umpire to decide. 15th Nov 1900 Sale of the site agreed with LNWR at £10,250. 15th May 1901 Quinquennial Valuations: £10,396. 18th July 1901 LUSC: The London & North Western Railway Co claim to have possession of Fairfield PS by the 25th March 1902. The City Surveyor meets with the LNWR Surveyor to express the great inconvenience caused by the removal of the police from the station until the new station at Mill Street is completed. 15th Aug 1901 Drilling of Post Office messengers at Cavendish St, Willert St, Fairfield St and Broughton Town Hall Salford agreed for one hour a week. 2nd July 1903 Fairfield St still under W.C control and Mill St not ready until August. The LNWR Co are now requesting rent on the Fairfield rd site. 1st Oct 1903 Mill St Police and Fire Station opens. 22nd Oct 1903 Sale of the Fairfield rd site to LNWR Co finalised. 2012 Premises remain as private offices only.